K-Guard gutters have finally solved an age-old problem: how do you keep leaves out of gutters? Cleaning out the gutters used to be an annual tradition (if not more frequently) for many homeowners. Now, however, homeowners can use patented K-Guard gutters that will prevent most leaves from getting in the gutter in the first place. 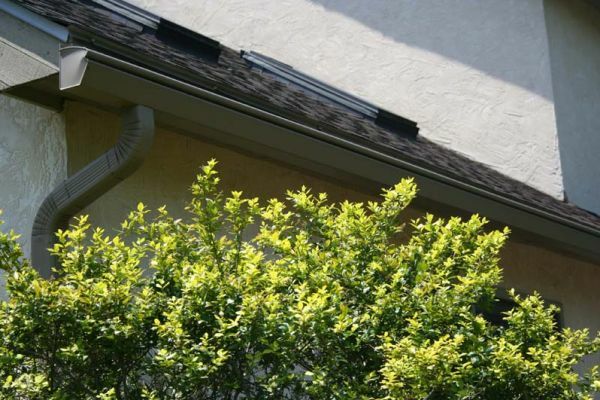 Our gutters are equipped with a hood system that will prevent most leaves from entering the gutter. This prevents jams and reduces the need to clean the gutters. K-Guard gutters are made of very high-quality aluminum and are designed to last for ages. In terms of quality and value, it’s hard to beat K-Guard. Of course, some customers are going to have some questions and concerns. Let’s review some tips for selling gutters to potential customers. Why Are K-Guard Gutters Better Than Traditional Gutters? The first question a new homeowner will likely ask you is why they should bother with K-Guard gutters. Traditional gutters have been around for years, aren’t they good enough? The answer, quite simply, is no. 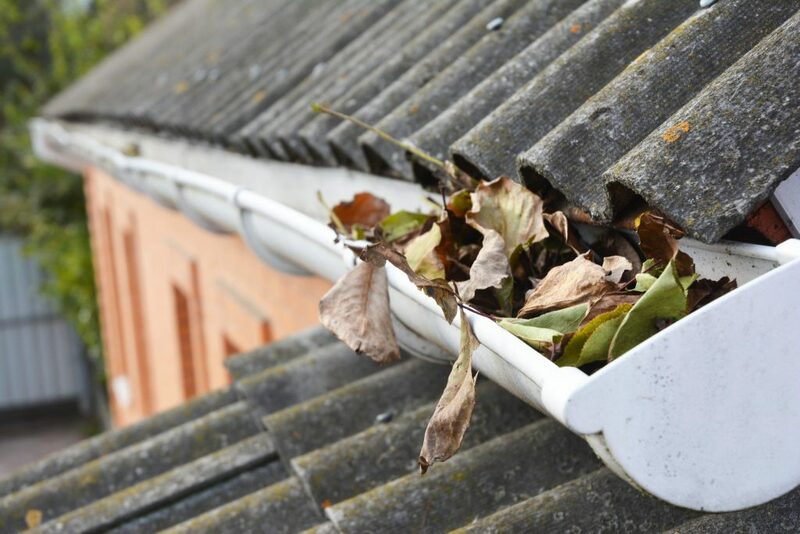 Once a traditional gutter is clogged with leaves, it may not be able to effectively drain water. Over time, poor drainage could result in damage to a homeowner’s property. Further, the leaves in the gutter will eventually rot, which can produce an awful stench. Homeowners will either have to get the ladder out and clean the gutters themselves or hire someone to do it. Hiring someone can get quite expensive. Meanwhile, when homeowners clean gutters themselves, they are going to spend a lot of time carrying out an unpleasant task. Worse yet, there’s always the risk of a slip or fall. Do K-Guard Gutters Actually Keep Leaves Out? Yes. Our patented K-Guard gutters actually keep leaves out. Clogging and other issues rarely occur. K-Guard gutters use a specially designed system consisting of a hood, gutter, downspouts and the patented K-Guard hangers. New homeowners don’t have to take our word for it. Hundreds of happy customers can testify that our K-Guard gutters work year in and year out. We recommend showing skeptical customers our product reviews. Often, other happy customers make the best salespeople. Are K-Guard Gutters Only For New Homes? No. While we recommend installing K-Guard gutters from the get-go, existing homes can be refitted with our system. K-Guard has helped both new and existing homeowners. What If Customers Are Worried About Longevity? Eventually, all gutters have to be replaced. However, homeowners can rest assured that K-Guard gutters will last a long time. First, we use a heavy-duty aluminum that will resist corrosion. 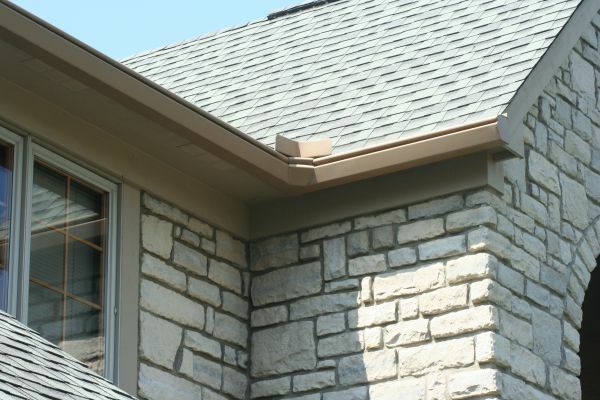 Lesser gutter manufacturers use lesser aluminum that won’t hold up to the elements. Second, our patented K-Guard Hangers are made out of durable, long-lasting all-weather polymers that can resist just about anything nature throws at them. These hangers can also support the weight of the entire system, ensuring that it retains its shape. New homeowners will be adding value to their home by using high-quality, long-lasting K-Guard gutters. They’ll be able to rest easy, knowing that they likely won’t have to replace their gutters in the near future. What if Customers Are Worried About the Aesthetics? Many new homeowners rightly obsess over aesthetics. K-Guard gutters look a bit different from traditional gutters. If anything, however, they look better. For one, there won’t be rotting leaves hanging out of K-Guard gutters. Further, homeowners can select a wide range of colors. Also, K-Guard gutters can be fitted to just about any roof line. What If Customers Want to Go With the Cheapest Option? K-Guard gutters are a bit more expensive than the lowest cost gutters. However, the high-quality aluminum and patented K-Guard Hangers mean our gutters will last for years. Customers who buy cheap gutters may quickly find themselves having to uninstall and reinstall new gutters. Then there are the cleaning costs. Unless the homeowner cleans their gutters themselves, they’re going to have to pay someone to do it. Cleaning gutters is no one’s idea of a dream job, so homeowners may have to pay quite a bit. What If My Customers Want to Install Hood Systems on Their Existing Gutters? Does your customer already have gutters installed? Some homeowners try to take a short-cut: they install hoods on existing gutter systems. Unfortunately, this often turns out poorly. Our 5-inch gutter system offers better drainage than the 3 and 4-inch gutters many people have. Further, the hoods rarely fit properly, leading to sub-optimal performance. Not only that, but the hoods are often a different color than the gutters. This can lead to poor aesthetics. Ultimately, these ramshackle systems look clunky and out of place, something you’d never say about K-Guard gutters. Do You Have Any Materials I Can Provide to Customers? Yes! You can refer customers to Kguard.com where they can learn more about our patented system. Customers can also watch an explainer video that will outline our gutter system works. Further, we can sell you brochures and door hangers at cost. Just get in touch! It is awfully easy to forget about your home’s gutters. After all, these pathways are out of sight so they tend to be out of mind until something goes wrong. If you neglect your gutters long enough they will eventually clog, creating the potential for leaks and other problems that can exhaust your time, patience and money. Maintaining clean gutters is important throughout the year because when the unexpected storm arrives you can bask in the comfort of knowing your home is protected and will not require expensive repairs. 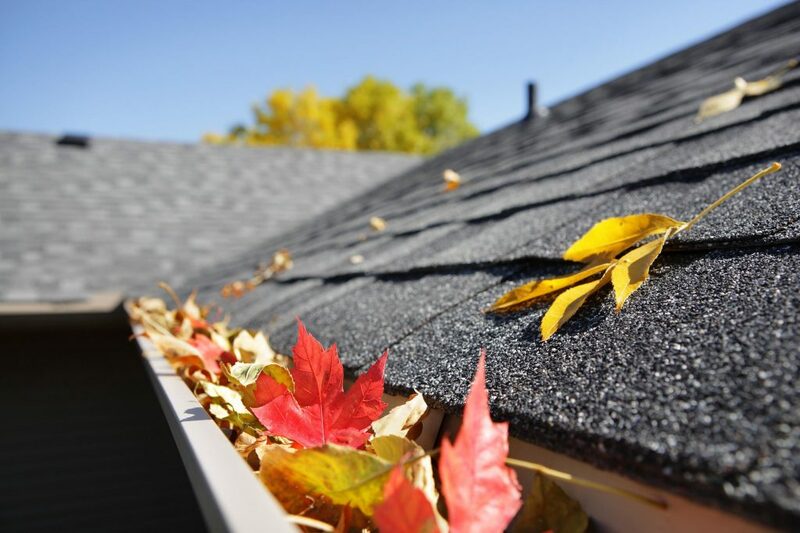 Strong winds can blow leaves, tree limbs, litter, and other debris onto the roof, clogging the gutters. Furthermore, snow and ice can accumulate in gutters to the point that water cannot pass through to the downspout and reach the ground. Such a clog will cause the water to pool, putting the gutter’s integrity at risk and jeopardizing the well-being of your home structures and landscaping below. A broken gutter or an otherwise-compromised roof stemming from gutter neglect can consume your money and time. A clogged gutter may cause water to pool, become that much heavier and create a mess along the perimeter of your roof. Also, an ill-equipped gutter system requires the attention of a repair specialist. This specialist’s time will cost you money, even if the repair project is minor. Furthermore, new gutters cost money. You have better things to do with your time than get quotes for gutter inspections and repairs. It is possible to avoid this scenario by being proactive and adding the K-Guard system to your home. If you have not had an ice dam form in your gutters, you have had good fortune. It is only a matter of time until unprotected gutters end up with an ice dam. If anything clogs the gutters, be it twigs, leaves or another form of interference, water will become trapped within the gutters. In the winter months, this water can freeze, creating an ice dam. The gutters might even begin to sag as the trapped ice and debris continues to accumulate and increase in weight. The worst case scenario is a gutter falling on a person or vehicle. Opt for K-Guard and you won’t have to worry about ice dams. 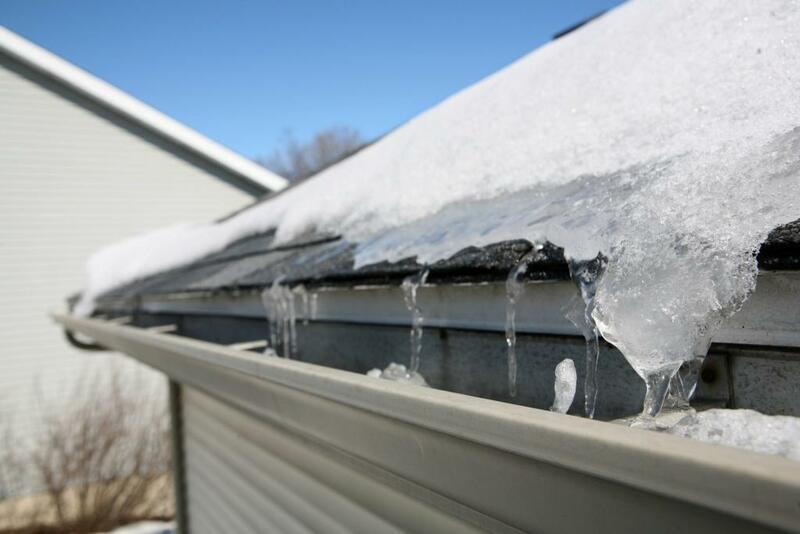 K-Guard stops clogs from forming to start with, ensuring ice does not have a chance to collect and threaten the integrity of your gutters and roof. This way, you won’t have to reach out to the ice dam specialists to perform an emergency clearing. Take a moment to consider all of the money, time and frustration you will save by preventing the formation of ice dams in the first place. 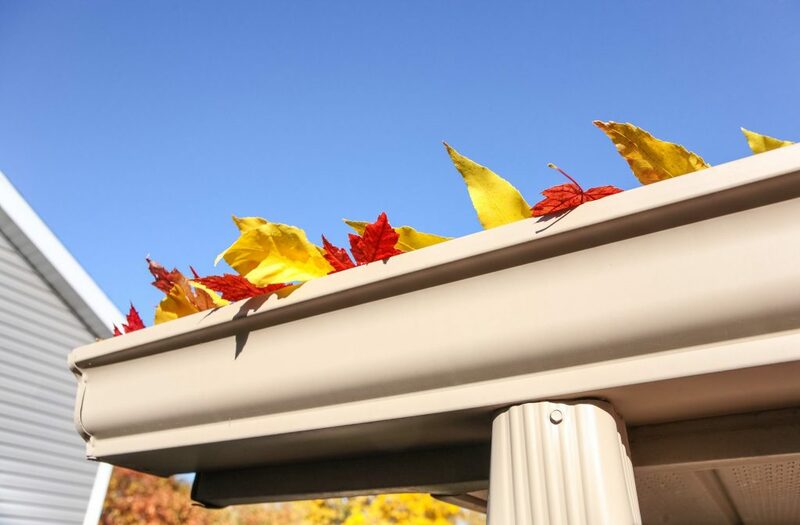 The K-Guard system is designed to prevent leaves from finding their way into your home’s gutters. This is the protection your home needs to retain its structural integrity and curb appeal. Here’s how the system works: K-Guard is made of four primary components: the K-Guard hangers, the gutter, the hood, and downspouts. Water moves right along the hood’s curve, traveling to the gutter. Leaves and other debris are blocked off from entering. The gutters are a spacious 5-inches, ensuring they can handle more rainwater and other sources of moisture than other supposed leaf-prevention gutter guard solutions. The K-Guard Leaf Free Gutter System is also appealing because it is a safe means of gutter and home protection. There is no reason for you to risk injury attempting to clean out gutters. The K-Guard system prevents leaves from building up in the gutters in the first place so no one has to climb on a ladder in an attempt to clean out these cramped pathways. Put your faith in K-Guard and you won’t be disappointed. K-Guard is comprised of heavy-duty aluminum that will not corrode even with ongoing inclement weather. The system is centered on the unique K-Guard hangers. These high-strength hangers are built with all-weather polymers positioned every two feet within the gutter. These polymers support the hood, ensuring the gutter retains its form and functionality so water does not compromise your living or working space. K-Guard downspouts are intentionally over-sized at three inches by four inches to allow water to flush out along with any other rubble that infiltrated the system. The end result of the K-guard system is a robust line of defense against leaves, debris and other threats to your home’s structure, siding and the roof. Even if you add the K-Guard system, you should still clear out your gutters at the start of the fall and winter. Don’t forget to give your home’s gutters a thorough clean after the winter ends just to make sure any debris that accumulated doesn’t pose a threat as we transition to the spring. A New Year’s resolution is a way to make a positive change. Finding the right resolution can be tricky. It needs to be achievable, financially sound, and contribute to your well-being. If you are looking for a resolution that will add value and safety to your life and home, upgrading to a K-Guard gutter system is a great place to start. Upgrading to K-Guard is achievable because the gutter systems are versatile, and can be installed and customized for every home. These systems are a financially sound investment and can save you a lot of time and hours of manual labor for years to come. They will also help you protect one of your biggest financial investments- your home. Why install a K-Guard system in the new year? When you make the decision to upgrade to K-Guard, you are making an investment into the value and safety of your home. Gutter systems are an essential part of any building. They guide runoff and water away from the structure of your house. Without gutters, this water can pool and collect, leading to flooding and structural issues. Standard gutter systems safely guide water away from the house, but unfortunately, are prone to flooding and clogging. At K-Guard, we use our patterned gutter technology to bring you gutter systems that are covered. What does this mean? Essentially, water can get into your gutter but leaves, sticks, and debris cannot. This means that your gutters will continue to do their job of guiding water away from your home, but will not collect any unwanted items that you will have to manually remove later. How will K-Guard gutters save me money in the new year? How many hours do you spend on your roof clearing out your gutters? If you are not able to do do this daunting task yourself, how much are you paying for a third party to come in and do it? Time is money, and whether you are spending your time or your hard earned cash maintaining your gutter systems, the cost is too high. K-Guard gutters will not only save you the time and manpower of physically cleaning out your gutter system, but they can also potentially save you the cost of damages to your home. A system that drains water away from your home means you will not have to spend money on repairs. Your exterior paint will be preserved. Your foundation won’t slowly erode. Your siding will not rot. This means you have to paint your house less often, which also saves money. And best of all, your foundation will not have to be repaired. Additionally, should you choose to relocate, K-Guard gutters are a great selling point for buyers looking to purchase a new home! How do K-Guard gutters benefit my home? A gutter system that prevents leaves from clogging the flow of water means the moisture stays away from your house’s siding and foundation. Moisture eats away at the side of your home, whether made of wood, masonry, or plastic siding. Moisture also eats away at paint. A K-Guard system keeps the weather at bay—for this year and many to come! In the new year, how does a K-Guard Gutter System improve safety? Cleaning out your gutters means pulling out a ladder and physically getting onto your roof. This can be incredibly dangerous. Did you know that in the U.S., over 500,000 people have ladder-related accidents every year? Falling off of your roof or ladder can be incredibly painful, and even deadly. Why put your life on the line when you can make a one-time investment that will keep your home safe and keep you off the roof? Am I a good candidate for a K-Guard gutter system? Simply put, if your house has a roof, then you can benefit from K-Guard gutters. We can replace your old gutter system, and our designs can be customized to fit the look and feel of your home. What makes K-Guard design the best gutter guard system for the new year? Why should I choose to work with K-Guard? The best source of data to base a decision comes from a company’s prior customers. Because we offer a great product, superb installation, and great customer service, our reviews are great. Check out the positive reviews we received in 2018: https://www.kguard.com/reviews/. And don’t worry, we also received overwhelmingly positive reviews for each year in the last decade! We will do everything we can to make sure our customers are satisfied with our work in 2019. It’s already January, how can I start my resolution? New Year’s resolutions provide the perfect opportunity to make improvements in your life and your home. Working with K-Guard is one of those few New Year’s resolutions that has a clear starting point: contact one of our dealers today. 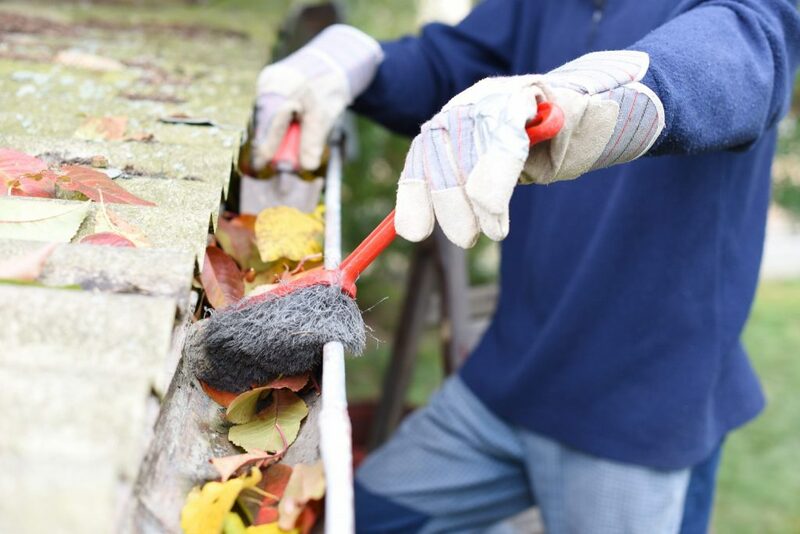 You’re likely used to cleaning out your gutters in the fall when leaves pile up and can cause clogs and other issues, but you may not realize that you need to clean them in the wintertime as well. 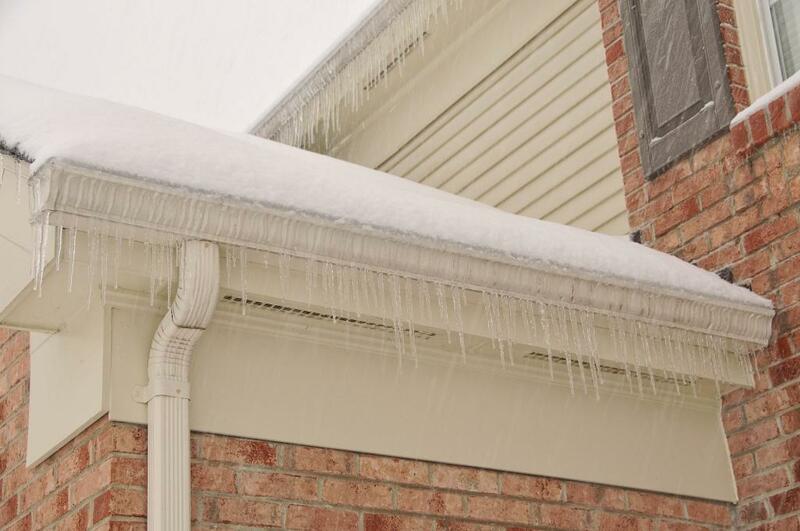 When it’s cold, snow often compacts and does not melt, which puts additional weight and strain on your gutter system. 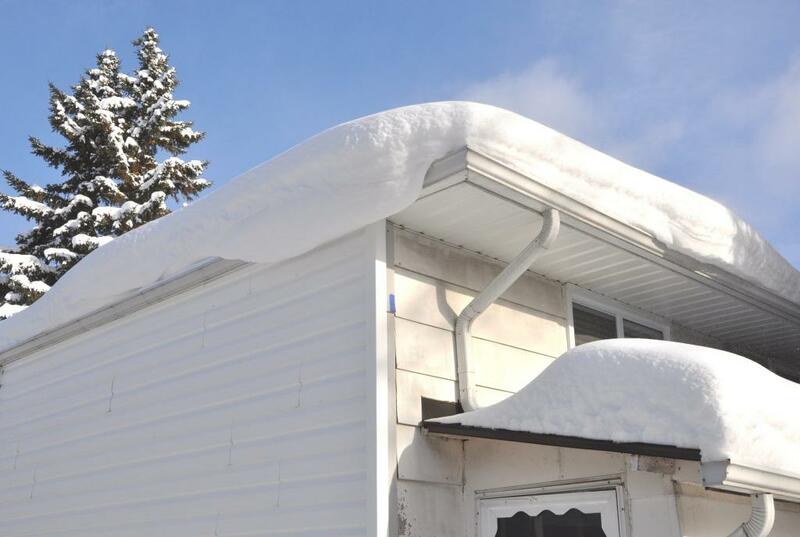 When this snow builds up too much and gets too heavy, it can actually cause your gutters to break away from your home. It is important to keep an eye on your gutters and make sure that they are not being overloaded by snow and debris. One of the best ways to keep your gutters clean is to stop debris at the source. Take some extra time to trim the branches of the trees around your yard to prevent leaves, twigs, and dirt from getting into your gutters in the first place. Making sure that the trees in your yard are trimmed and groomed isn’t just a good idea in the winter time, but is a habit you should practice throughout the whole year. Over time, through normal wear and tear, your gutter system may become misaligned. 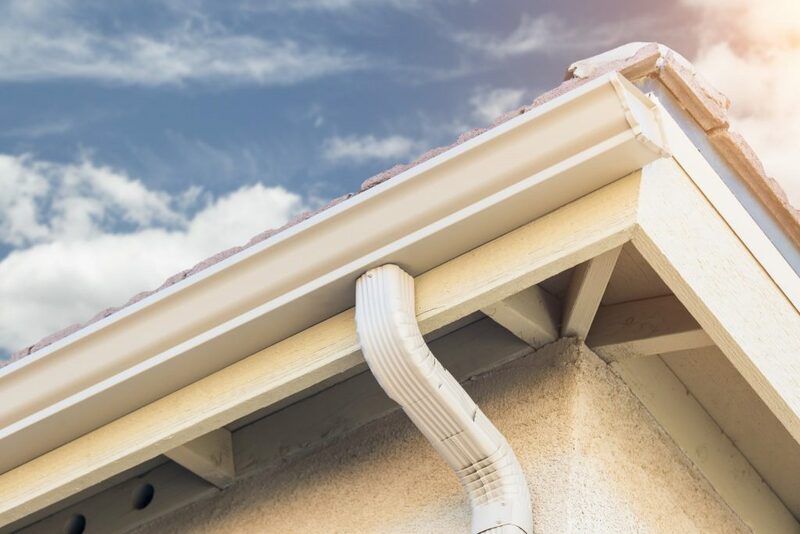 If your gutters are misaligned and stick out at an odd angle, water will not be diverted from your home as effectively as it should be, and your structure may suffer the consequences. With misaligned gutters, water is likely to pool around the base of your home, which can hurt your foundation, driveway, and lawn. If you believe that your gutters are misaligned, it may be time to call in the professionals. Attempting to align your gutters on your own may do more harm than good. It is important to carefully inspect your gutter system for damage. Make sure that there are no leaks and that your system is firmly attached to your home. Do a thorough examination of your house, looking for damage to your siding, as this can be a sign of a leaky gutter. It’s also important to look at your downspouts and diverters to make sure they are working correctly. If you see any issues with your gutters, call a professional right away. Your gutter system is no place to cut corners. A solid, working gutter system can save you lots of time and money from repairing unnecessary damages to your home down the road. If you are concerned about your gutters or are worried that your system is not prepared for the winter, err on the side of caution and contact the professionals. A professional maintenance man will be able to thoroughly clean your system and will know how to carefully inspect your gutters to make sure they are up to speed and functioning properly. The easiest way to protect your gutter system in the winter is to upgrade to a K-Guard Leaf-Free Gutter System. 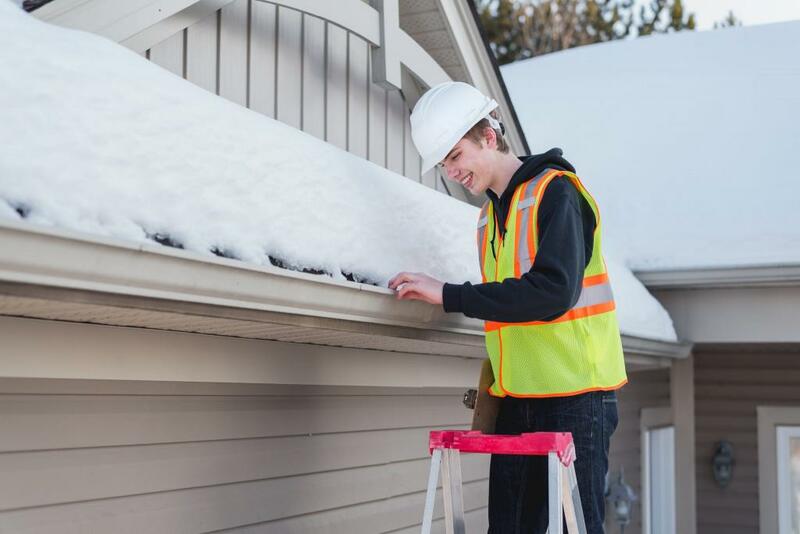 Our K-Guard technology is the easiest way to prevent build-ups of snow, dirt, and other unwanted items and to drastically cut back on the amount of time you will need to put into gutter maintenance this season. A K-Guard gutter system is the best gift that you can give yourself this holiday season and will save you time and effort not just in the winter time, but the whole year round. Gutters are an essential part of your home’s structure, so it is crucial to care for them this season. K-Guard technology makes this easy. If you want to learn more about our patented K-Guard design or want to find your local K-Guard vendor, you can visit us online at www.kguard.com. Fall is just around the corner, and for those of you without K-Guard gutters, that means that it is time to get started on yet another round of seasonal gutter maintenance. Ideally, your gutters should be cleaned at least twice a year, but you may need to clean them more if you have trees within 10 to 20 feet of the exterior walls and roof. Although it might be tempting to procrastinate on this, doing so puts your house at risk for serious water damage. Since time is of the essence, use these gutter cleaning tips to get rooftop drainage systems ready for fall. Gutter cleaning requires potentially dangerous activities such as climbing on a ladder and getting up on the roof. If possible, work with a partner. Even if all they do is hold the ladder still, you have that extra bit of a safety net. Many people have trouble with heights, and having someone there to ensure your safety can make the whole process smoother and less nerve-wracking. Gutter cleaning is not for people who are afraid of heights, and a sturdy ladder is one of your most important tools. Start by choosing a ladder that has non-skid bottoms on the legs so that it does not slip. Also, you should always inspect your ladder for defects before you begin to climb. As you choose one, keep in mind that it may need to be moved multiple times as you work around the perimeter of the roof. Look for a sturdy, reliable ladder that is also easily portable. As with any household maintenance task, you need to wear the appropriate clothing and safety gear. Be sure to find a quality pair of gloves that are waterproof and made from a scratch-resistant material to protect your hands from cuts. Then, put on a pair of goggles to protect your eyes from potential splashes from bacteria-laden clogs as you spray out the gutters. You should also wear a comfortable pair of rubber-soled shoes to reduce your chances of slipping off of the ladder or roof. Cleaning out the gutters is pointless if you leave behind leaves and dirt on the roof. This debris can pile up and fall into your gutters the next time it rains or snows. Therefore, you should begin the cleaning process by using a broom to sweep away any debris that is not in the gutters. 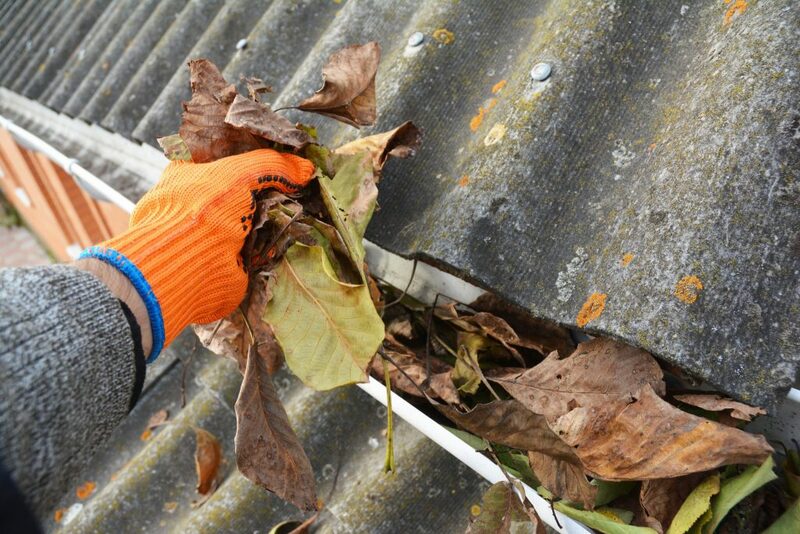 As you do, try to sweep hard enough to push the leaves over the gutter system. Then, you can rake them from the ground later or gather them in a bag. Once you’ve removed the surface debris from the roof, you are ready to begin cleaning the actual gutters. You can use a special scooper to remove large chunks of debris from the gutter, or you can use your gloved hand. As you remove the clogs, put them into a bucket or other type of container so that you have an easier time cleaning up afterward. You should also be cautious as you clean these clogs because they often havens for rodents, birds, and insects that use the materials for nests. Clearing the clogs out by hand first helps to make sure that you do not inadvertently spray large chunks of debris down the gutters and into the downspouts. Therefore, you must make sure that all of the big debris is completely clear before you move to this step. To spray out the gutters, you can use a power washing tool, or you can just grab your pressure sprayer that attaches to the garden hose. The process of cleaning out the gutters makes it possible for you to get a closer look at the roof and gutter system. Keep an eye out for signs of damage that need closer attention such as cracks between the seams of older gutter systems or areas where the gutters have become detached from the roof. You might also spot signs of a malfunctioning gutter system while you are cleaning them out such as seeing water stains from spillovers caused by clogs or pooling water where it should naturally flow down. After the main gutters are clean, your final step is to make sure that there are not any clogs in the downspout. If you’ve seen large amounts of debris in the gutters, then you can easily assume that it has worked its way to the downspout as well. Typically, you can give it a good tap or two to get clogs to fall down with the force of gravity. However, more serious clogs may require you to take apart the downspout and use special tools to get them out. Cleaning out gutters is hazardous and exhausting work, and older gutters may require you to clean them out more often due to issues such as bends in the seam that collect more debris. 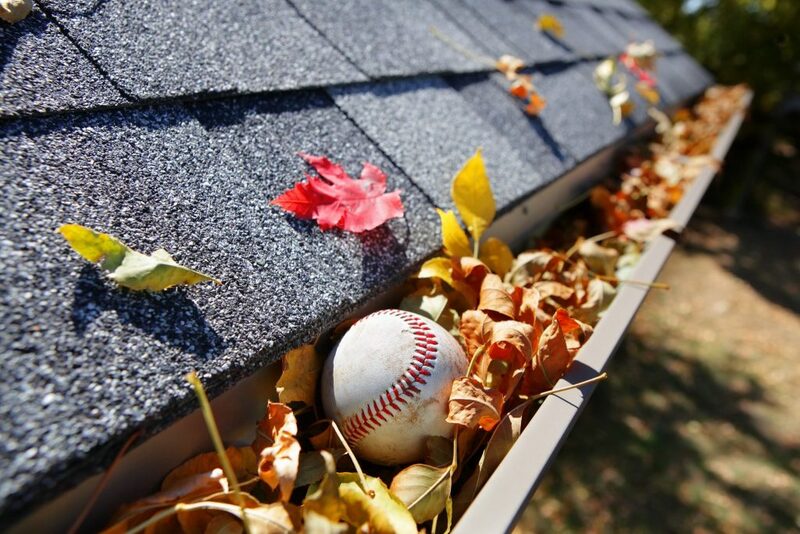 Fortunately, K-Guard leaf free gutter systems are an option that allows you to ditch this annoying part of your fall home maintenance routine. These patented systems have special covers that keep leaves out of the gutters while allowing the rain to flow into specially-designed slots that wash it down the downspouts so that clogs become a thing of the past. This year, stop dreading the monumental task of cleaning your gutters by upgrading to K-Guard. Give us a call today! Why Are Gutters an Important Part of Your Home? To properly maintain your home, a good gutter system is an absolute must. 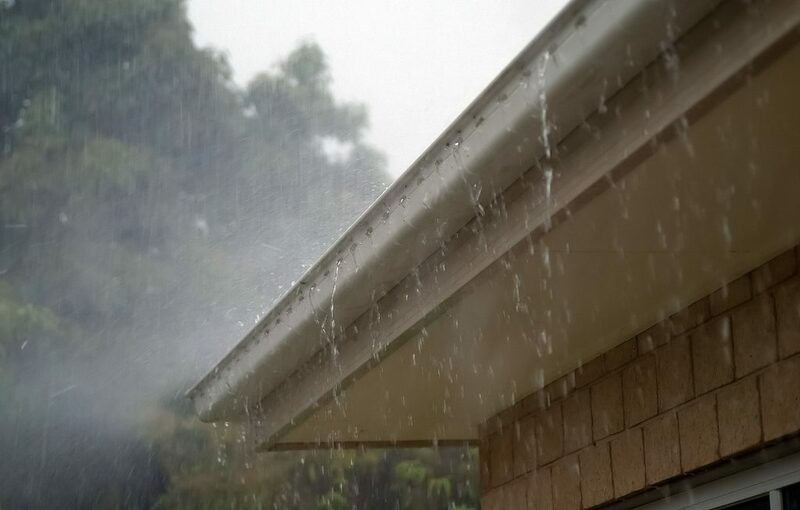 Gutters work by redirecting water away from your property and are essential to the safety of your home’s foundation. Why Does Your Home Need Gutters? Regardless of location, every home should be equipped with gutters. Gutters collect runoff rain from the roof and guide it away from the foundation. If you do not have gutters, or if they get clogged, water can start to overflow around your property. This overflow tends to pool, causing flooding and other issues. If you do not have a gutter system, this pooling can happen any time it rains. Gutters have other benefits as well. They help to stabilize the soil around a home, preventing issues with the building as well as preserving a home’s landscaping and erosion. With properly installed gutters, you can avoid siding damage along with stained brick and stonework. Their presence can also lessen sidewalk settling and cracking while protecting exterior doors. A big inconvenience for many people is the time it takes to maintain a gutter system. To make sure that they’re working properly, you must be vigilant about cleaning your gutters and checking for breaks or cracks. Many people don’t give them proper maintenance as frequently as they require. If you wait to clean your gutters until they’re filled with leaves and other debris, you will likely face bad repercussions. When gutters become clogged, they dam up, causing spillage and overflow. If the clog is severe enough, they can start to leak. The still water sitting in a clogged gutter can become a breeding ground for mosquitoes and other pests that you do not want around your property. How often you should change your gutters depends on your style of home and the climate around you. There are a lot of things to consider; are there trees nearby? How often does it rain in your area? A general rule is that homes with trees that come within about 10 feet of the roofline should have their gutters cleaned out at least twice a year. If your area is especially tree heavy, then your gutters may need to be cleaned out several times just during the fall season alone. When it comes to home style, you’ll need to assess the slope of your roof. If your home features a roof with a low slope, then you should plan to clean your gutters more often. A common gutter myth is that homes without trees don’t require gutter cleaning. This is not true because wind, rain, and snow can still fill a gutter with debris. People who have homes with asphalt shingles will need to clean their gutters more frequently because this type of roof covering loses granules, which can fall into the gutter system. Gutter clogging can be detrimental to your home, and cleaning your gutter system can be a dangerous and time-consuming chore. Luckily, K-Guard has completely eliminated these problems. With our unique covered gutter technology, clogs will be a thing of the past. Our patented system is built around high-strength hangers that support your gutters as well as gutter guards that keep debris out, eliminating clogging and the need for cleaning. They are durable and can last for over twenty years. They are built to withstand any rain and weather conditions. K-Guard gutters are wide, giving them the ability to drain away more rainwater than any other system. K-Guard gutters not only function great, they look great as well. They are available in a wide variety of colors, and their smooth, curved appearance will add a sleek and clean look to your home. Overall, K-Guard gutters are a great investment for your home, your time, and your wallet. Whether you pay for gutter cleaning or clean them on your own, K-Guard gutters are the best option for you. You can also rest assured knowing you have the best gutter system on the market and that your foundation and home are protected. Contact us to learn more about our K-Guard technology today! As a K-Guard Leaf Free Gutter System dealer, you probably already appreciate the lucrative market potential of this patented system. K-Guard gutters are simple, yet incredibly useful for homeowners and offer a clog-free solution to help save time and money. As you market this brand and expand to new potential customers, keep these six useful tips in mind. These points can help your customer make an informed decision and will allow them to evaluate the pros and cons of investing in a K-Guard gutter system. K-Guard developed its renowned hooded gutter and downspout system to help solve a common problem amongst homeowners. 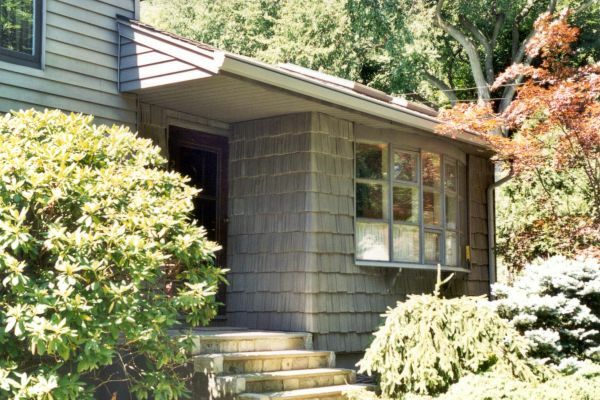 Every home requires a method to direct rooftop water runoff away from residential foundations and exteriors, but traditional gutter systems come with a long list of problems. They can be hard to clean, they can clog easily, and they can cause water damage to your home. Climbing up to your roof to clean mud, leaves, and debris can be annoying, dangerous and time-consuming. Hiring a gutter cleaner can be expensive. Failing to clean your gutters, however, can have dangerous consequences for your home. Many property owners prefer to hire gutter cleaning services, yet this process holds drawbacks, too. It involves entrusting the care of these important home systems and spending unnecessary money. Make sure your customers understand that the K-Guard gutter system offers a solution to all of these issues. With our K-Guard technology, cleaning your gutters will become a thing of the past. It is important to let your customers know they cannot obtain our patented hooded gutter and downspout system from any source other than a licensed distributor. Our firm invested time and money working to develop a unique, proven solution to the problem of cleaning soiled gutters conveniently. The tough, heavy-duty hangers which make this system possible allow the product’s distinctive hood, gutter, and downspouts to remain securely attached to roofs. We select product distributors carefully. As one of these agents, you’ve become a “go-to” source for an outstanding and popular brand. Your customers won’t find a comparable gutter system anywhere else. Let them know you carry this product. You’ll want to ensure your customers also appreciate their true cost savings when they select these gutters. Assist your customer in drawing up a quick comparison chart. Divide a blank sheet of paper into two columns. Place the title “K-Guard” above one column and “non-K-Guard” over the other. Ask your customers to list the hours they expend cleaning gutters every year multiplied by the labor costs. If they use a gutter-cleaning service, ask them to note the annual fee for this service. Make sure you factor in the cost of supplies (and liability insurance in the event of accidents). Also, include the long-term costs of not cleaning gutters and downspouts properly. The numbers speak for themselves; your customers will benefit long term by choosing our unique gutter system. Another important point to mention to prospective customers relates to the excellent selection of available gutter and downspout colors. Today, gutters represent more than functional home features; they help promote better “curb appeal” by helping to beautify the appearance of real estate. These gutters will fit virtually any residential color scheme. It may also be helpful to show some examples of popular colors of these covered gutters. Constructed from sturdy aluminum, these products retain distinct shades of white, brown, green, and any other color you could want. Show your customers all of the various options that they can choose from. Another key point to mention is the ease of installing these long-lasting and stylish gutter and downspout systems. These systems can be installed in just one day, saving you the hassle of waiting around multiple days for an installation professional. In this connection, you may discover customers who select both our gutter products and other home improvements from you (including roofs and exterior siding). This gutter and downspout system will complement these other items very well. You may discover by mentioning our superb system to customers visiting your outlet to purchase other home improvements that you boost your gutter sales revenues. Ask your sales force to make a habit of offering this convenient system to every roofing and siding customer! Finally, your customers deserve to know that both the manufacturer and the distributor stand firmly behind these innovative products. Your customers can count on our ongoing support and assistance. We feel confident you’ll supply excellent service for them at the local level, too. By committing ourselves to market high quality, superbly manufactured products, we build strong customer relationships. Your customers will value your confidence in these finely crafted sturdy gutter systems. By working diligently to market our outstanding hooded gutter system, you can expand your client base and generate sales revenue. You’ll also help develop excellent customer relations. Here at K-Guard, we are very proud of our product and believe that it can greatly benefit all of our customers, saving them time, money, and frustration. Share this information with your customers to help them choose the best gutter system on the market today! Summer is a great time for upgrading the exterior of your home and increasing your home’s overall “curb appeal”-aka how attractive your property appears to an on-looker. While curb appeal is particularly important for people looking to sell their homes, it can also be important for homeowners looking to hold on to them as well. The more attractive your home is, the higher the overall appeal and value of the neighborhood, which will certainly endear to your neighbors who are looking to put their homes on the market. In addition, keeping your home in good condition will also be a useful asset if the time ever comes that you want to sell your home, particularly if you experience a major life change of some kind that requires you to sell your home quickly. You never know, increasing the curb appeal of your home might also gain you an offer you can’t refuse that you weren’t even looking for! Here are 7 great upgrades you can do this summer to increase both the appeal and the value of your home. Warm weather provides a great opportunity to pressure wash off all of the accumulated grime and muck that builds up on the exterior of your home over the winter. Repainting trim can also give your home a remarkably fresh look without a huge price tag or a great deal of labor. For wood exteriors, remember that paint does more than just decorate your home, it also protects it. Scrape off any areas of chipped or peeling paint and then touch up any exposed surfaces. You can also significantly increase the exterior appeal of your home by painting your front door a bright new color. This is also a great time to give your siding a good inspection to see how well it is holding up and if you might need to start thinking about getting it replaced soon. Giving your gutters a good cleaning every spring is a must, but you should also consider upgrading and replacing your gutters as well. Gutters not only add to or detract from the appeal of your home, but they also protect it as well. Gutters are meant to carry water off your roof and away from your home to protect from flood damage. Quality gutters are a smooth, seamless, almost invisible extension of your home. When they are designed and installed well, you won’t even notice they are there. Improperly installed or cheap gutters, however, can be unsightly and can even fail when you need them most. When you upgrade to high-quality gutters like K-guard gutters, not only will you increase the overall aesthetics of your home, but you can see a decrease in maintenance costs as well. House numbers, door hardware, mailboxes, light fixtures and other small details are all simple items that greatly add to or detract from the overall appeal of your home. They are small, inexpensive upgrades that can provide a massive return. You can line walkways with new solar lighting that not only increases the appeal of your home but also makes it safer. While you are upgrading door hardware, you might consider investing in a new security system. Not only will this increase the security of your home, but it can also make it more attractive to buyers if you decide to sell. Whether or not you use your front porch, stoop, entryway or patio for entertaining, enjoying your morning coffee or just hanging out on a weekend, making the entry to your home an inviting space is a great way to enhance curb appeal. Whether it be porch swings, rocking chairs or cafe tables, there are a wide range of accessories you can outfit your front porch with to create a comfortable, cozy space. Plants or flower boxes can also add appeal to even the tiniest of spaces. For those that don’t want to tend to flowers or plants, wreaths, plaques, welcome mats and welcome signs can all make your home a place where guests and family alike will feel truly welcome. Bird Baths, fountains, decorative boulders, statues, metal cutouts or sculptures are all ways to add some aesthetic value to your home. You can plant a flower bed around your mailbox or plant a small garden in the middle of a circular drive. Window boxes filled with colorful blooms also add beauty and warmth to the exterior of your home. You can increase the overall value and appeal of your home by adding anything that transforms your home from merely a house into an architectural work of art. Even the smallest additions can go a long way. Peeling paint on your front porch is as unattractive as it is uninviting. Repainting will certainly increase the aesthetic appeal, but you can increase the value of your home by upgrading to outdoor tiles. The best part is that not only can tiling your steps give your home a fresh, modern look, it’s also a fairly easy and inexpensive DIY project. You can even buy outdoor tiles that have a non-slip coating that will make your porch safer in inclement weather. While you are upgrading the surface of your porch or patio, it’s also a good time to paint, repair or replace porch railings. Porches and patios are the only places you can do a tile upgrade. Covering existing concrete walkways with tile or upgrading to walkways made of paving stones can give a high-end look to even the most modest of homes. For a slightly less labor-intensive project, however, you can also apply a colored concrete resurfacer to existing concrete and then simply line your walkways with bricks or stone. This will give your walkways a beautiful custom look without all the labor or expense. Upping your curb appeal is just a few simple steps away. For any questions or concerns about your home’s needs, don’t forget to consult the experts at K-Guard. Together we can ensure a safe and happy home for you this summer.